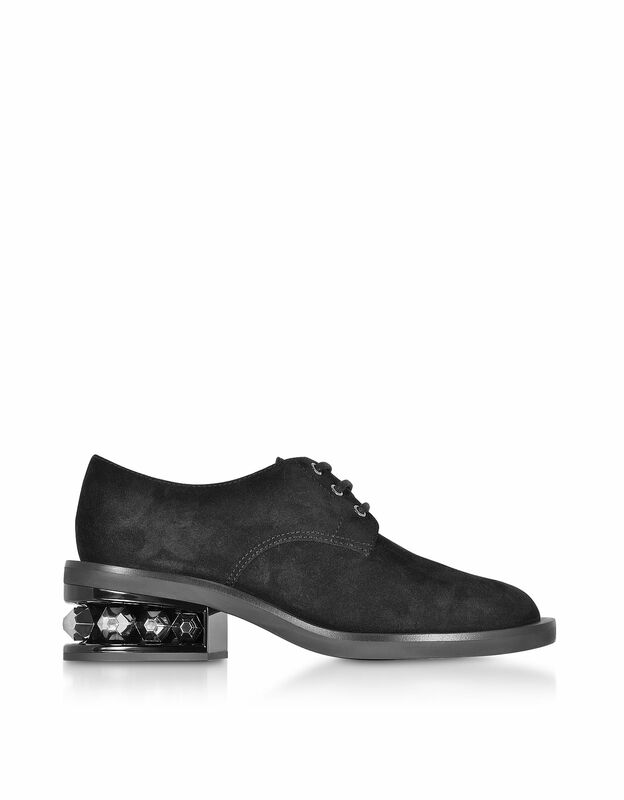 Suzi Derby Shoe crafted in nappa suede leather, lends a cool dapper elan fo that dressed from the shoe up style. Featuring lace up closure, suede upper, rounded toe, hexagonal crystal embellished 35mm heel, leather lining and leather sole. Made in Italy.